APANAMA: 1MDB SCANDAL - Prime Minister and Attorney General have seen documents quoted by Wall Street Journal? 1MDB SCANDAL - Prime Minister and Attorney General have seen documents quoted by Wall Street Journal? 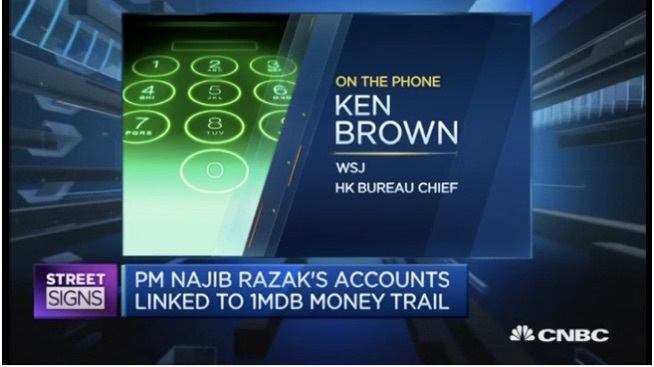 Nearly $700 million of deposits were made into what are believed to be the personal bank accounts of Malaysian Prime Minister Najib Razak, the Wall Street Journal reported Friday citing documents from a government investigation. Watch and listen to what the Wall Street Journal's Hong Kong Bureau Chief Ken Brown tells CNBC. Mr Prime Minister, guess you have no other choice but to come clean of this explosive expose by the Wall Street Journal. There are no options. Stop all charades and shadow plays to demonise your critics. You cannot continue to rely on paid spin masters and compromised advisors to help you out of this scandal. This expose is way too big for lowly spin masters and apple-polishers. If you, as the Prime Minister of Malaysia, had in fact channelled hundreds of millions of Ringgit into your personal bank account as exposed by WSJ, you must be really stupid. If you are indeed that stupid then you have no choice but to step down from all Government positions immediately. You could probably stay on as Umno president because I'm convinced that Umno deserves someone like you to bury the party. On the other hand, if the WSJ expose is all lies and just another sinister political sabotage to unseat you, then you as the Prime Minister of Malaysia must take all necessary legal actions to rectify the situation immediately. This is necessary to protect, not only yourself but also to protect the good name of our beloved nation. It is understandable that it would be a tough act to convince Malaysians to trust what you say but you have no choice but to tell the truth no matter what it is. If you have breached the law of this land, you must face the consequence. This is not just about you Mr Mohd Najib Tun Abdul Razak, this is about the pride and honour of a once high-flying nation known as Malaysia. You have brought about much disrepute to this nation of ours. Please do the necessary before it reaches a stage where you have to suffer public humiliation. 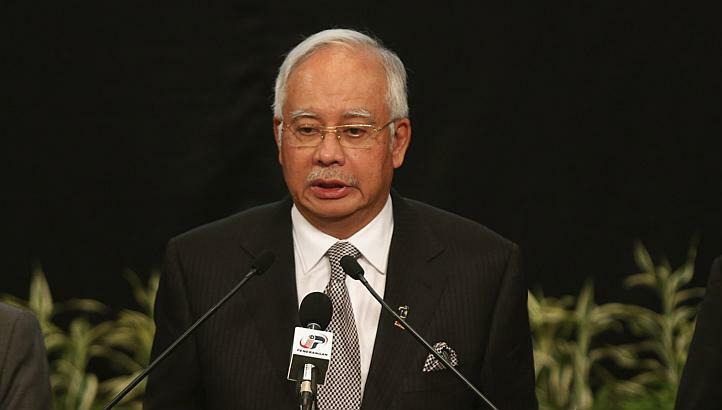 We really don't wish to see a sitting Malaysian Prime Minister in handcuffs. Once again, will fall in disgrace. Akbar Wall Street Journal dan steysen CNBC, juga dilapurkan oleh Rueters !!! Sekarang seluruh dunia sudah tahu! Amat memalukan, muka nak simpan dekat mana? Kena pakai burqa. Seluruh rakyat Malaysia dimalukan oleh haram jamdah ini. Tons of money moved arounds in different accounts. It moved fast and furious. Once it stopped in one account, it didn't stay that long before it moved again into different accounts. Nobody seemed to know its final destination. "You could probably stay on as Umno president because I'm convinced that Umno deserves someone like you to bury the party." "Barisan Nasional having perception issues. Pakatan Rakyat better off dead. We Malaysians need a Third Force"
To all the bloggers prepaid, post paid,jemuan etc. Duit haram yang dicuri daripada rakyat pun korang nak. Tunggu je la balasan Allah. This is grandfather story lah. Jibby has grown old before his time owing to excessive megalomania, and has devolved into a juvenile delinquent. I can't believe WSJ people have better access to Malaysian investigators and documents than you guys, you know, Malaysians who believe Najib has done something wrong and need to step down. Since this is a super duper huge t-rex like attempted execution on a bugis palawan...i wonder why the bank has not come up with any confirmation immediately??? Buying time? Waiting for instruction? And what is bank kancil doing the whole day today? Dont they have the power over these banks? Why so slow to respond? Waiting dor instruction as well? Buying time? Dia ni kaki sumpah pgg quran ja, itu yg dia tau. Saman menyaman dia tak suka. Tah kenapa. 1. Does not najib has his own thoughts and make his own decisions viz 1MDB investments? 2. Why me, you know umno boys are good in creating opinions and pointing fingers at me. re: "I can't believe WSJ people have better access to Malaysian investigators and documents than you guys, you know, Malaysians who believe Najib has done something wrong and need to step down. What are the implications of that?" Well bro, it's just like in our national football: We got real talent on the level playing field doing the running, but its the fat asses holding the reins of power in the governance that tilts the field to their own petty interests. transferring/wiring money between two bank accounts is not a crime, WSJ tak kata jibby swindle money, mereka habak huge sum of money was transferred to his private banking accounts, apa jadi kat duit tu merek tak tahu. of course bank negara will get reports/alerts of all these transactions, so most probably the "doc" that WSJ refered to adalah lapuran yang BNM forward to AG, etc for tindakan lanjut, etc. You think the AG will want to question PM or order PDRM to start investigation regarding all these? :). He never even notified SPRM, thats why semalam baru SPRM kata lepas WSJ report diaorang buka siasatan, make sensed. Anyway, tabik spring buat WSJ, SR and Tun Mahathir!!! Checkmate Jibby & Rossie. Criminals have been arrested and charged sucessfully based on circumstantial evidence. Please connect all the dots. The butler did it! The other butler bought Aussie properties at inflated prices using Mara Inc money. Najib is innocent. Ask the IGP! But if UMNO doe snot end this drama, the Australian FIRB will expose everything for sure. Let the Malaysian Judiciary unleash the full force of the law to bring forth the truth, the whole truth, and nothing but the truth, so help us oh Lord.